Can Connecticut’s Craft Beer Rescue the State’s Declining Economy? Connecticut, “America’s Country Club,” is a beautiful, rich state home to revolutionaries, hard-working laborers and business leaders who have developed a taste for Connecticut’s craft beer. In the 19th and 20th centuries, Connecticut was nicknamed the “Arsenal of Democracy.” It was home to Colt’s Manufacturing Company and the Winchester Repeating Arms Company, providing pistols, revolvers and rifles to the military. Pratt & Whitney and Sikorsky supplied military engines and helicopters. Connecticut was a leading manufacturer of timepieces. The American Clock and Watch Museum is even located in Bristol, CT. Hartford is nicknamed the “Insurance Capital of the World.” Aetna, CIGNA and Travelers were all headquartered in or near the capital city. In the financial services industry, many of the world’s titans of business called Greenwich, CT home, including members of the Rockefeller, Lauder and Kennedy families. Today, Fairfield County has one of the largest clusters of hedge funds in the world. In fact, Connecticut is second only to New York City in assets managed by hedge funds. London is third. However, despite this rich history, Connecticut’s economy is in trouble. The state has seen a decline in population over the last three years. In a state that relies heavily on the income taxes of the rich, the population loss is concerning. Billionaires Thomas Peterffy and C. Dean Metropoulos both left the state for Florida earlier this year. GE and Aetna, two of the oldest and established corporations in the state, announced they are leaving their Connecticut headquarters. Their executive teams are heading to Massachusetts and New York, respectively. Aetna cited difficulty attracting top talent to Hartford as one reason for the departure. In May, S&P and Fitch, two leading credit agencies, downgraded the state’s credit rating. Amidst all of this negative news, where is the bright spot for Connecticut’s economy? Look no further than your pint glass. As of 2014, more than 4,600 people were employed by local breweries, and the industry had a $569 million positive economic impact on the state. The craft beer craze has been growing steadily for years, but Connecticut was slow to get in the game. Now that it has, there is an effort to raise awareness. CPTV, Connecticut’s public broadcasting TV station, airs “On Tap” every Tuesday night featuring the story behind a local brewery. On September 16, Hartford plays host to the SMALL STATE GREAT BEER craft beer and music festival. 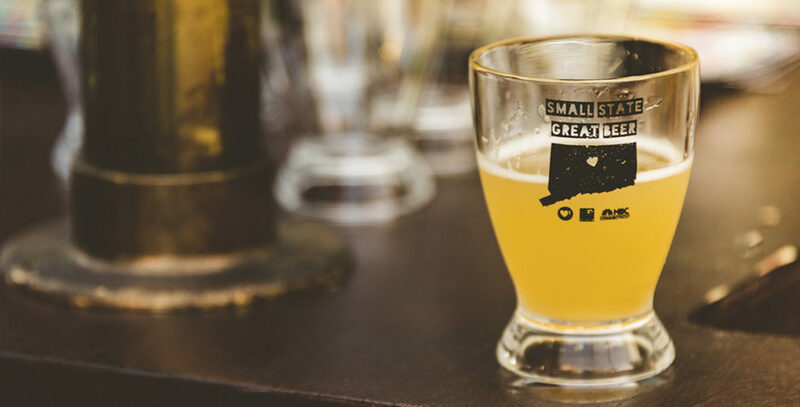 The event will exclusively feature beer from Connecticut breweries, such as Half Full, New England Brewing Co., Thimble Island Brewing Company and Two Roads. On September 30, beer lovers can attend The Last Taste of Summer Craft Beer Festival in Greenwich. Local breweries in attendance will include Armada Brewing, Charter Oak Brewery, Lock City Brewing Company and Stony Creek. August 15, 2017 Jackie Dowling Comments Off on Can Connecticut’s Craft Beer Rescue the State’s Declining Economy?